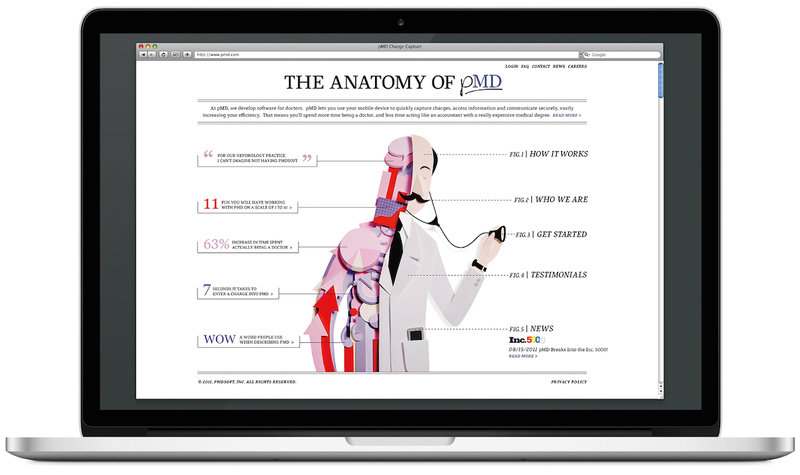 pMD makes software for doctors. This software allows them to use their mobile devices to quickly capture charges, access information and communicate securely. Sounds like the makings of an extremely lame B2B client, right? Well, luckily, pMD was the exact opposite. The site we created for them was a Communication Arts Webpick. You can see it HERE. It also made the FWA shortlist.